According to the World Health Organization (WHO), “Meaningful participation requires that individuals are entitled to participate in the decisions that directly affect them, including in the design, implementation, and monitoring of health interventions.” In general, I believe they are referring to adults in relation to equity and inclusion. But this definition is also extremely useful in the world of children with disabilities. How often do we really let children make decisions during the day? Maybe they get to pick what they want to wear to school or what cereal they want for breakfast. For obvious reasons, they certainly don’t get to choose which school they go to, their bedtime, or how many times a week they have to bathe. Chicago Superstars is well aware of the importance of building confidence through decision making and participation. Belonging to a team that allows each child to have a say builds this confidence. Chicago Superstars is not a team focused on competition. We do not play other teams and/or worry about the end score of a scrimmage. We do focus on fun, meaningful participation. How do we do this? We let kids pick what warm up stretch they want to do, they get a choice. 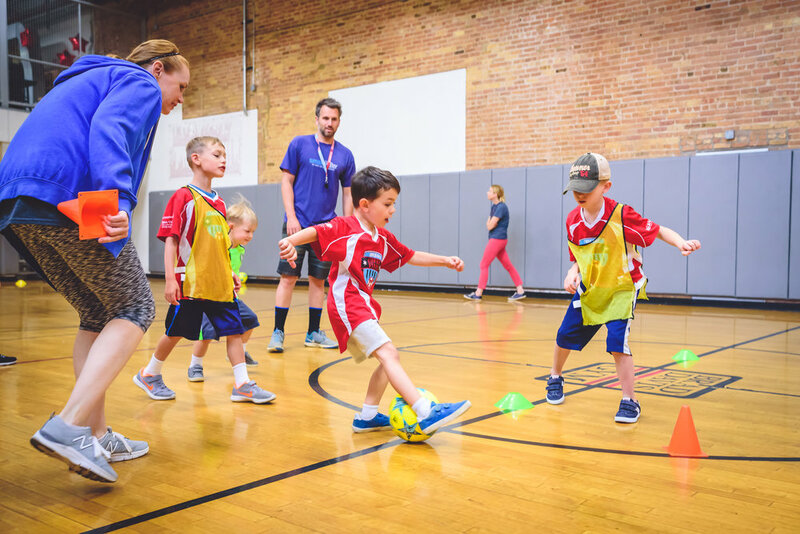 We give kids a chance to actually be the coach, having he or she come up with an obstacle course and direct their teammates. We let the child decide when he or she need a break, encouraging them to communicate their needs to us. Meaningful participation looks different for every child. For Joe, it’s passing out the water to his teammates at break time. For Sally, it’s cheering from the sideline during her least favorite part of practice instead of pouting in the grass. For Jane, it’s participating with the team 20 out of 60 minutes of practice, while spending the remainder of the time playing with his little brother on the sidelines. The therapists and coach see the boundaries that each child sets for themselves, and then try to help them work past those boundaries without making participation a chore. Making sure each child finds joy and success in belonging to their team, is a successful result of meaningful participation. The WHO states that meaningful participation can take on many forms, but it can involve “… decision making including the development of alternatives and identification of solutions, and empowering communities to retain ultimate control over the key decisions that affect their wellbeing.” Children don’t get many chances to make decisions. We are proud to say that for one hour each week, Chicago Superstars is the perfect outlet where they can make some decisions that affect their wellbeing. Newer PostWhat is the purpose of an Occupational Therapist for Chicago Superstars?